The most famous wrestling arena in Baja California is colloquially refered to as Auditorio de Tijuana, though the offical name is Auditorio Municipal Fausto Gutiérrez Moreno. It was a focal point of AAA's hot period in the early 90's, with many of the high flying stars of that era - like Misterioso, Rey Misterio Jr. and Psicosis - becoming major stars because of their work in the arena. 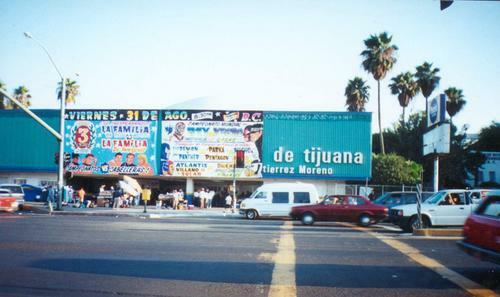 Auditorio de Tijuana was still very active thru the late 2000s, with a rotating system of promoters getting one Friday a month for their own show. Insecurity in Tijuana caused the end of shows here for a couple years, though they appear to be slowly coming back in the early 10s. The arena has a reputation for wild brawls, and the occasional riot. There are also shows run on Sunday afternoon which don't take place in the actual auditorium but instead in a small gymnasium attached to the building. The address to the main building is Boulevard Díaz Ordaz 12421, Colonia Fraccionamiento El Paraíso, CP 22440, Tijuana, Baja California Norte, México. The phone number is +52-66 4250 9015. The capacity of the main building is 5,500. This page was last edited on 10 January 2011, at 14:36.